Hardly any birds in town the last 10 days or so. Some birds have started appearing from the south: Oriental Greenfinches, White Wagtails and Black-tailed Gulls in breeding plumage (above). Last week I saw just 1 Hawfinch and 1 Brown Dipper plus a brief flyover group of waxwings. This week saw even slimmer pickings: 1 male Daurian Redstart only. At Kamiiso the grebes weren't present but there were the usual ducks and gulls as well as 4 Great Egret. The snow is melting fast. Spring is here, almost. You wouldn't like it here at the moment Stu. Not many birds around. Snow on the Pennines and a bitter east wind. The bill is very distinctive. 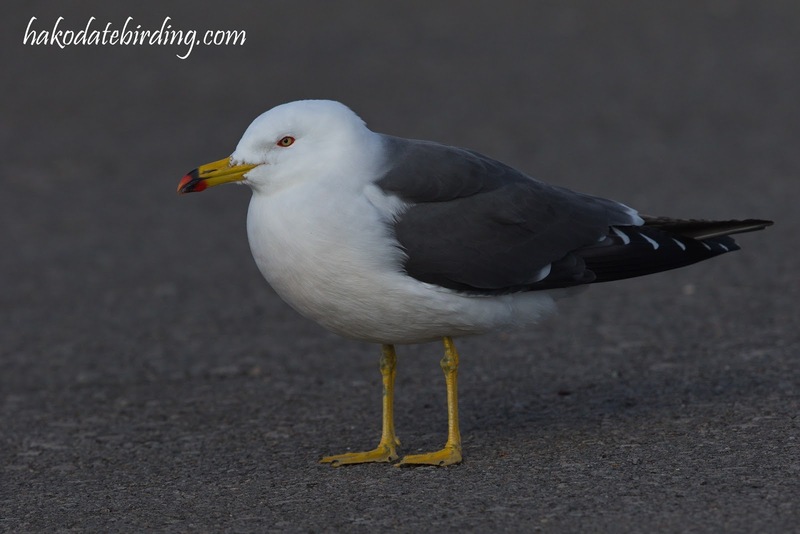 Great looking gull.